Funeral services will be held at Fountain Run First Baptist Church at 1:00 P.M. on Saturday, January 26, 2019, with Bro. Ron Norrod and Bro. 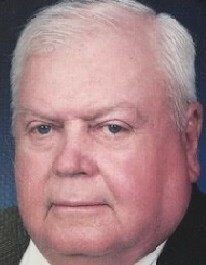 John Jordan officiating, burial to follow at Neal Cemetery. Military services will be performed by Glasgow DAV Chapter 20. Visitation is Friday from 4-8 P.M. at Fountain Run Funeral Home and Saturday from 9:00 A.M. until service time at 1:00 P.M. at Fountain Run First Baptist Church. He is survived by his daughter, Janet Holland Johnson of Scottsville, KY, 4 grandchildren, Andi Holland Johnson, of Lexington, KY, Lee Douglas Johnson of Fountain Run, Olivia Nichole “Nikki” Gary, and husband, George of Fountain Run, KY, and Kevin Anthony Chesnut, and wife, Ashley of Leavenworth, KS & 2 great-grandchildren, Luke Gary & Adeline Chesnut. DONATIONS SUGGESTED TO NEAL CEMETERY, FLIPPIN VFD OR FOUNTAIN RUN 1ST BAPTIST CHURCH.